In July 2015, U.S. Secretary of Commerce Penny Pritzker today awarded the Pittsburgh region a designation under the Investing in Manufacturing Communities Partnership, making it one of 12 cities this year to receive unique federal support for long-term economic development growth in regional manufacturing. 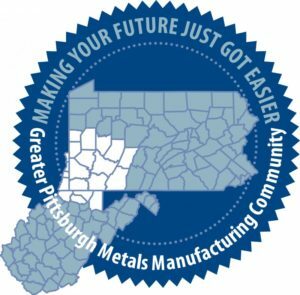 The Greater Pittsburgh Metals Manufacturing Community — a partnership of government, university, industry, workforce and economic development organizations — submitted its application for the competitive designation earlier this year. The lead organization was Catalyst Connection in Oakland.